The book also investigates what leads to wrongful convictions and who's most likely to be incarcerated for a crime they never committed. Over the years, I have repeatedly read about innocent people who have been released from death row under great media awareness and I have always been curious about how these people's lives have evolved when the cameras have been turned off and the reporters have left the prison gate. Several times, I came across the name, Nick Yarris--a man who was exonerated by the use of DNA evidence after spending 22 years on Pennsylvania's death row. Since his release, Nick Yarris has been one of the exonerated death row inmates who has attracted the most media attention. There has even been a movie produced about his life and he was compensated millions of dollars when exonerated. I contemplated that if one exonerated prisoner was to restore his life, it would be him. For more than four years, I have followed Nick Yarris. When I first met him, he struck me as a person who has managed to forgive and to transform his traumatic experiences into a positive view on life. However, the better I got to know him, the more it became clear to me that as an exonerated death row inmate, you will forever be marked by the injustice done to you, no matter fame or fortune. After interviewing Nick Yarris, I decided to approach other exonerees to find out if their experiences were similar to his. Unfortunately, they were. Most exonerees struggle to restore life. Some even say that returning to a normal life has been harder than adjusting to life on death row. 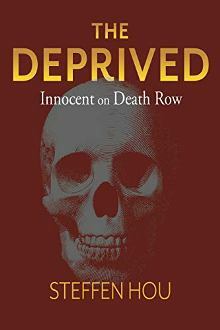 The intention of The Deprived--Innocent on Death Row is to investigate what leads to wrongful convictions and how people react when they become victims of an injustice that not only deprives them their freedom and family, but in a worst-case scenario, their lives. Do they lose the will to live, do they find meaning through religion, or do they become as evil as they have wrongfully been accused of being? When I reviewed different cases of wrongful convictions, I was shocked by how easily people can end up on death row despite being innocent. This is often because society has failed to protect its own citizens when authorities have not conducted their duties properly or even when law enforcement officers have lied about their investigation and manufactured evidence. In other cases, the convicted has become a victim of false and vicious testimonies--even at times given by their own families and friends. Therefore, I also wanted to investigate if innocent death row inmates can maintain trust in fellow man and that justice will prevail. Or do they become bitter and hateful toward the people who put them on death row? Finally, I wanted to look into if the injustice they have experienced will always overshadow the joy of having regained freedom. On a personal level, through my research, I have also tried to clarify if I believe it is fair that society demands "an eye for an eye." When I was a teenager, I saw an innocent young man being stabbed to death by a group of thugs. Witnessing the crime had a huge impact on me. I was scared and for years I feared that one day, I would become a victim. My immediate reaction was that perpetrators deserved the same punishment as their victims: death. However, I started wondering whether this was a legitimate punishment because the death penalty also kills innocent people. I have tried to answer these questions and many others by telling the stories of 10 people who have all been affected by wrongful convictions and the death penalty.